I know it's already August and usually by now, any fashionable person would already be talking non-stop about the FW trends, but I want to have a bit more of summer fun. 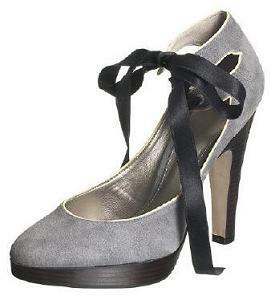 Besides, platform pumps are great for the coming FW season too. 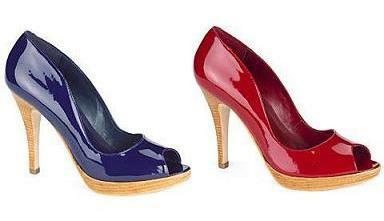 The platform pumps that started this trend -the Christian Louboutin pumps. Louboutin-lookalikes by Aldos. These are also available in a wide range of colours, but I would suggest you stick to the basic colours to avoid looking tacky. However, if the bright-coloured shoes are like these Top Shop ones, then the vibe they give off is definately more vintage and funky, rather than tacky. 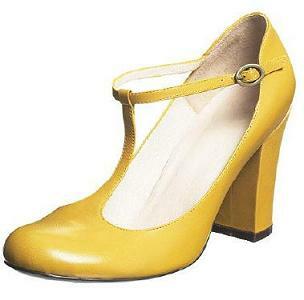 This pair by Marc by Marc Jacobs was definately a favourite of magazines. I love them -they're so versatile and easy to match with clothes. Marc by Marc Jacobs pump-style ballet shoes -Cute in a girly way. This pair is also very versatile and definately wearable for the coming FW season too. Nina Melia heels -Very sparkly and eye-catching. These would be great for partying. I saw them at Macy's and loved the black ones, but they were a bit high for me! 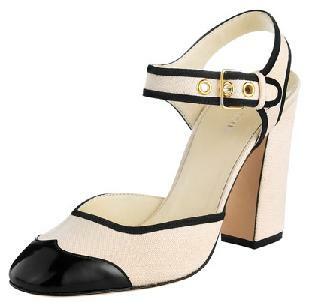 These Miu Miu pumps are so classic-looking. They would look great with A-line dresses and dark jeans. With patent leather and red being 'in' this season, this pair of Top Shop Mary Jane is a good choice to liven up dark outfits. 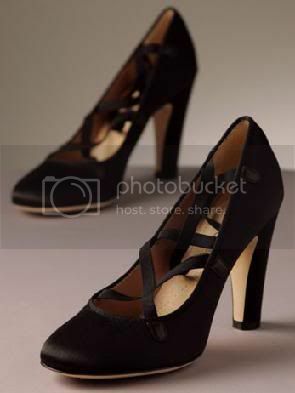 Top Shop Suede Platforms -Love them! These would look so adorable with so many of next season's outfits! Wow, I can't decide which I like better, each is better than the next. The yellow Topshop ones are very cute!! I love love love the Miu Miu pumps, and I've already bought the yellow top shop shoes in a kinda bronzy colour that go with any pair of dark jeans. Also, i love the Marc by Marc Jacobs ballet shoes. i love the topshop ones; great colour plus i love the t-bar!the miu miu ones are great too! very reminiscent of chanel, i think...however..
dark jeans + white shoes...might they stain? I almost bought the yellow and red topshop ones but I couldn't decide so I fled. Already bought a pair! :D I got mine from Topshop too, but their not featured here. Their plain black but their VERY high and the front is platformed too. most of these aren't platforms! 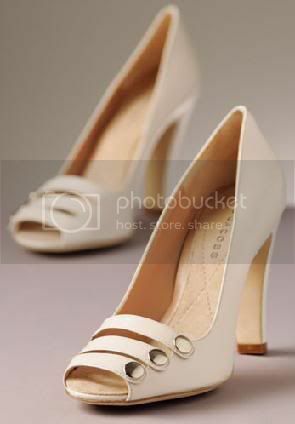 Aww, I love those white Marc Jacobs! oooh so pretty. i want all of them, hehe. hii girls, i'm back! just wanted to say i still adore your blog (and those cream marc jacobs too!) those aldos are suprisingly good for .. . .aldos. I love the black Marc ones - I would wear them with everything! I really like the pink and black Miu Miu's. They are so pretty and elegant. They are perfection!!! While all the shoes you posted are beautiful I have to point out that most of them were not platforms. If you notice, she mentions the ones that are actual platforms as platforms. 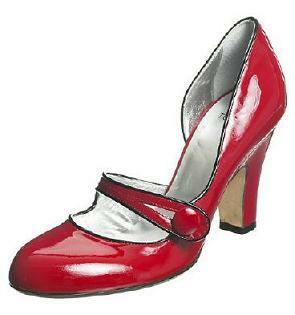 Whereas others are referred to as pumps. Yes, the post starts by talking about platforms but goes on to be one about pumps. There's no need for attacking. The CL are a bit overdone, but the rest are terriffic!